Can a Gluten-Free Diet Influence Your Gut Health? Can a Gluten-Free Diet Influence Gut Health? A study published in 2016 (1) found a short-term gluten-free diet can favourably influence gut health by shifting the balance of intestinal bacteria. This article will examine the implications of this to help optimise your gut health. 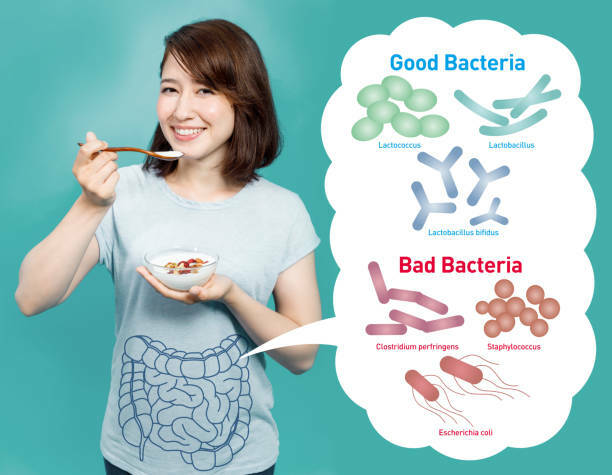 What is the importance of intestinal bacteria? Why Follow a Gluten-Free Diet? We all walk around with trillions of bacteria in our gut. These bacteria are called gut flora and are also known as microbiota. Each one of us plays host to hundreds of different species of these bacteria. The balance of our intestinal bacteria is incredibly important to our health. They break down certain foods which the stomach and small intestine are unable to digest, to ensure we absorb vital nutrients. Gut bacteria assist with the production of vitamins such as vitamins B and K.
They also play a significant role in immune function. Some of these bacteria are beneficial to our health and some not so beneficial. The beneficial ones produce substances helpful to digestion and keep the intestinal lining healthy. Friendly bacteria also educate our immune system early on in life to react appropriately to foreign invaders. Our beneficial bacteria usually keep the bad guys in check by producing compounds which are toxic to them, so they don’t thrive. Incredibly, the makeup of this population of bacteria is unique to each person. However, many outside factors can influence which type of bacteria thrives. If the wrong type of bacteria takes over, a condition known as dysbiosis occurs. Dysbiosis can cause problems like inefficient digestion, particularly of proteins, poor nutrient absorption and damage to the digestive lining. If this delicate lining is damaged, nutrients won’t be absorbed as well and toxic substances can be absorbed instead. A disordered bacterial population in childhood is also known to contribute to immune system problems such as allergies and auto-immune diseases later in life. Many studies have shown that there is a direct link between the gut microbiome and diet. Gluten is the name for a collection of storage proteins found in wheat and other grains. It’s found together with starch in the grain. The word gluten comes from the Latin word for glue. When it comes into contact with water, gluten gives bread dough its elasticity. Carbon Dioxide produced by yeast is trapped in the complex, sticky gluten molecule, causing the dough to rise. The big three gluten grains are wheat, barley, and rye, but gluten is also found in durum wheat, bulgur, spelt, rye, most oats, barley, and as an ingredient in many processed foods. It’s also found in hydrolysed vegetable protein and is commonly used in soups, sauces, salad dressings, beer, French fries, some potato chips, soy sauce and some meat substitutes. A gluten-free diet is commonly recommended for those suffering from coeliac disease, gluten sensitivity or Crohn’s disease. Coeliac disease is a dysfunctional immune response to gluten which causes damage to the small intestine. Crohn’s disease is a generalised inflammation throughout the digestive system. The cause is not fully understood, although it is most likely caused by a disorder in the immune system. 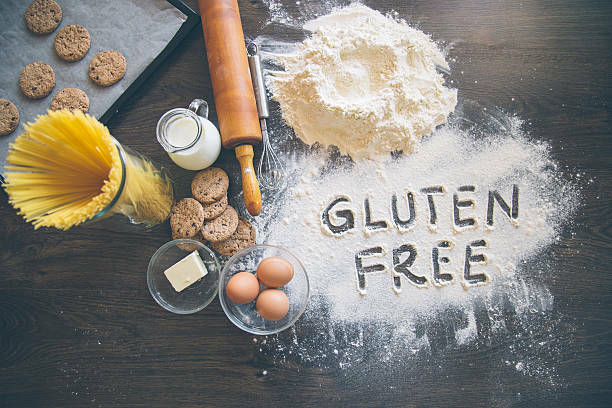 A gluten-free diet has also been successfully adopted by many people as a way to reduce nonspecific gut discomfort, like bloating, cramping or diarrhoea in the absence of any diagnosed gastrointestinal disease or gluten intolerance. It appears many people feel a whole lot better when they remove gluten from their diet, but the reason for this is a matter for some debate. 21 healthy volunteers followed a gluten-free diet for four weeks. Stool samples were collected at the beginning, during the four weeks and at the end of the trial period – with a total of 189 samples studied. The stool samples were analysed for their bacterial content. Stool bacteria is a good reflection of the bacteria in the digestive system as a whole. 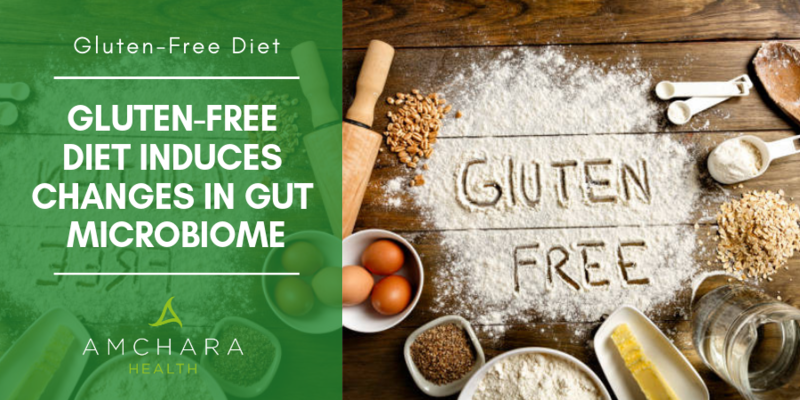 The results showed that the short-term gluten-free diet significantly changed the participants’ gut flora composition. More specifically, the diet positively influenced several species which help with carbohydrate and starch metabolism. Researchers noted that bacteria of the Clostridia class were significantly reduced. Bacteria in this family are pathogenic, and often cause diarrhoea. It’s interesting to note that another study published in 2010 using ten healthy adults drew a different conclusion. In this study, it was found that beneficial bacteria and inflammation markers were adversely affected after following a gluten-free diet for one month. This study did find there was less immune dysfunction after the gluten-free diet, however. It could be that the change in bowel flora was because study participants probably had less inulin in their diet. Inulin is what’s known as a prebiotic, which is a type of fibre which provides fuel for the intestinal bacteria. Inulin is found in the non-digestible part of fruit and vegetables. It travels through the small intestine unchanged and is fermented by bacteria when it reaches the colon. The bacteria produce substances called short-chain fatty acids from inulin. These help to reduce inflammation in the gut lining and provide a source of fuel for the cells of our large intestine. Inulin is contained in wheat, so the study subjects may have been eating insufficient inulin to feed their bowel bacteria and combat inflammation. Inulin is also found in leeks, asparagus, onions and bananas, so there’s no need to rely on wheat to get enough. Inulin can cause a rapid shift in bacterial balance which at the outset can produce gas and discomfort, so it’s best to introduce inulin foods gradually into your diet and space them over the day until your body adapts. Gluten grains have been used by mankind for thousands of years, so the results of this study begs the question: why does gluten now cause so many problems for our health? The answer could lie in the fact that in the last few generations, different, high-yielding plants have been selectively developed which contain more gluten than ever before. Modern wheat varieties are really only a distant relative to those plants that contributed wheat for our grandmothers’ larders. Nowadays wheat is often treated with glyphosate weed-killers such as Monsanto’s Roundup, and any non-organic wheat is often treated with this product just before harvesting because it increases the number of seeds that each plant produces. Studies have shown that pesticides containing glyphosates can destroy friendly bacteria in those that eat them. Gluten is more widespread in food today than ever before and it’s easy to consume a good amount of it at every meal. Gluten acts like a glue not only in bread but also in our digestive system, forming a lump which tends to impede digestion and provides a great breeding ground for undesirable bacteria. One of the protein constituents of wheat is called gliadin. This stimulates the release of a substance known as Zonulin. This has been found to cause gaps between the cells lining the intestine, making the intestine more permeable than it should be. Otherwise known as leaky gut, this can lead to inflammation, poor absorption of nutrients, absorption of toxins and incompletely digested food molecules which can trigger allergic reactions and auto-immune problems. 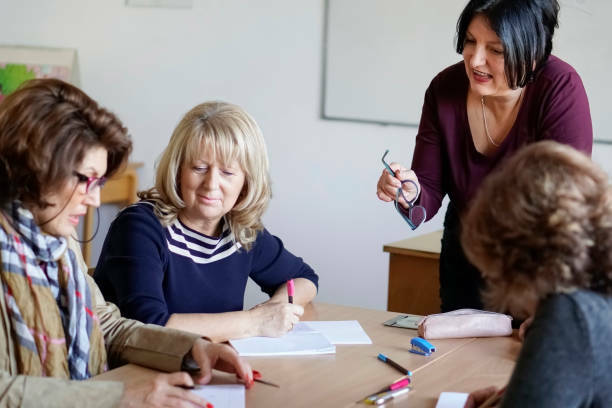 In fact, scientists believe that the gliadin portion of gluten may be the part that causes most of the ill effects experienced after eating gluten containing foods. Adopting a gluten-free diet may be useful in controlling a range of gut problems by positively influencing the bacterial balance in our intestines. A gluten-free diet means substituting gluten-free grains such as gluten free oats, quinoa, amaranth, corn, millet and buckwheat. Quinoa is actually a seed, not a grain, but it’s an excellent part of any diet as it is a good source of protein. It’s unusual in the plant world as it contains all 20 essential amino acids. It can be used as a grain much like couscous, in salads, added to an omelette or as a binder for veggie burgers. Quinoa flakes are perfect in muesli and porridge, and quinoa milk is used by those avoiding dairy. Watch out for quinoa’s little sister Kaniwa, sometimes called Canihua, which is high in both protein and iron. Originating in Peru and Bolivia, it’s also a seed, is red/brown in colour and has a nutty, slightly sweet flavour. Although rice contains no gluten, don’t rely too much on rice if you’re avoiding gluten. Researchers have noted some people following a gluten-free diet have higher levels of mercury and arsenic in their blood. This could be because non-organic rice can be tainted with these toxic metals. Try making cauliflower rice instead. Simply chop a few cauliflower florets into bite-size pieces and pop them into a food processor until they resemble rice. To cook, simply sauté for a few minutes. Cauliflower rice can also be used as a crust for pizzas or quiches. We all possess different DNA and this means we all react to food differently. A personalised diet programme from an Amchara practitioner can start you on your journey to optimal health. Is my gut in balance? The Gut: the centre of your health? IBS – Could the FODMAP diet transform your life?